Are you on holiday and desire to keep fit and healthy? 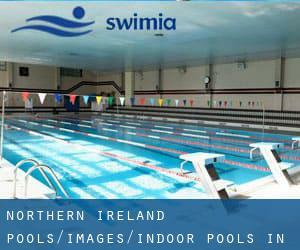 Swimia.com provides you the straightforward and quickest approach to obtain pool near Northern Ireland. Thanks to some new Indoor Pools in Northern Ireland submitted on a daily basis, Swimia.com is increasing everyday the number of stored pools. Please do not hesitate to contact us for those who find any inaccurate or incomplete facts. The most effective pools to swim are undoubtedly indoor olympic pools. Please check the nearest Swimming Pools or Contact us to ADD IT. It's free! If you are visiting Northern Ireland make sure you know the rules and regulation for swimming as they may not be exactly the same as in your residence town. Looking for Indoor Pools in Northern Ireland? Many of them belong to gyms or sport centres which also present lessons. Without a shadow of a doubt, swimming in Belfast is the best technique to unwind after work. 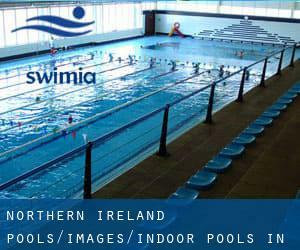 Take a couple of minutes to browse Swimia's catalog to find a Swimming Pool in Belfast. Whereas Londonderry is one of the six most populous cities in Northern Ireland with almost 83.652 residents, you shouldn't miss that one if you're going to Northern Ireland. It's difficult to visit Northern Ireland with no dropping by Newtownabbey (with 63.860 residents). Currently Swimia is showing you all the Pool in Newtownabbey and also the closest pools located in its vicinity. Swimming is usually a terrific idea to keep your body active during your visit to Bangor (Northern Ireland), or perhaps if you are a local. Swimia helps you to find your closest Swimming Pool in Bangor. Let us let you know a secret to switch off when you happen to be in Lisburn: just choose a Swimming Pool in Lisburn and plunge into the water! There's no more helpful method. Holding an estimated population of 59.236, Craigavon is one of the most important cities in Northern Ireland. Check all of the Pool in Craigavon and its surrounding area. 106 Belfast Road , Hollywood , Belfast , Northern Ireland , UNITED KINGDOM (Postal Code: BT18 9QY). Swimmers like you reported 20 meters x 10 meters, Indoors. Unfortunately we do not have the email address of this Pool, but we can give you the phone number. Ballysillan Road , North Belfast , Belfast , Northern Ireland , UNITED KINGDOM (Postal Code: BT14 7QP). Among all the activities offered by the centre, for anyone who is thinking about swimming you may appreciate 25 meters, 5 lanes, Indoors. If you need to get in touch with this Swimming Pool, e-mail address and phone number are both number. 3rd Floor Cityside , 100-150 York Street , Belfast , Northern Ireland , UNITED KINGDOM (Postal Code: BT15 1WA). Among all the activities supplied by the centre, when you are thinking about swimming you might get pleasure from 25 meters, Non-Chlorine Sanitized, Indoors. If you'll want to get in touch with this Swimming Pool, e-mail address and phone number are both number. Princess Terrace , Magherafelt , Northern Ireland , UNITED KINGDOM (Postal Code: BT45 6DR). This sports centre delivers 25 meters, 6 lanes, Indoors. For this Pool, only phone number is number here. Clanrye Avenue , Newry , Northern Ireland , UNITED KINGDOM (Postal Code: BT35 6EH). Among all of the activities supplied by the centre, should you be keen on swimming you'll get pleasure from 25 meters, 5 lanes, 1 meters - 2 meters depth, 1 meters - 2 meters depth, Indoors. Just in case you would like to contact this Swimming Pool before dropping by, we only know the phone number. Updated on 2019 Lough Road , Antrim , Northern Ireland , UNITED KINGDOM (Postal Code: BT41 4DQ). This sports centre delivers 25 meters, 6 lanes, Indoors. Contact data for this Pool which include phone number and email address are number. 52 Drum Road , Cookstown , Northern Ireland , UNITED KINGDOM (Postal Code: BT80 8JQ). Among all the activities offered by the centre, when you are thinking about swimming you will enjoy 20 meters, Indoors. If you should get in touch with this Pool, e-mail address and phone number are both number. Church Road , Newtownabbey , Northern Ireland , UNITED KINGDOM (Postal Code: BT36 7LJ). Swimmers like you reported 25 meters x 12 meters, 6 lanes, 0.9 meters - 1.9 meters depth, 0.9 meters - 1.9 meters depth, Indoors. Unfortunately we do not have the email address of this Pool, but we can give you the phone number. 12, Lisburn Leisure Park , Lisburn , Northern Ireland , UNITED KINGDOM (Postal Code: BT28 1LP). This sports centre provides 25 meters, 8 lanes, Indoors. Contact facts for this Swimming Pool similar to phone number and email address are number. Avoniel Road , East Belfast , Belfast , Northern Ireland , UNITED KINGDOM (Postal Code: BT 5 4SF). This sports centre gives 25 meters, Indoors. Contact information and facts for this Swimming Pool for instance phone number and e-mail address are number. Botanic Park , Belfast , Northern Ireland , UNITED KINGDOM (Postal Code: BT 9 5EX). Among all the activities offered by the centre, for anyone who is interested in swimming you may delight in 25 meters x 13 meters, 6 lanes, 1.2 meters depth, 1.2 meters depth, Indoors. If you will need to get in touch with this Pool, email address and phone number are both number. Lisnafin Park , Strabane , Northern Ireland , UNITED KINGDOM (Postal Code: BT82 9DQ). Swimmers like you reported 25 meters, 6 lanes, Indoors. Unfortunately we do not have the email address of this Pool, but we can give you the phone number. Castle Upton Estate , Templepatrick , Northern Ireland , UNITED KINGDOM (Postal Code: BT39 0DD). Among all of the activities offered by the centre, should you be thinking about swimming you can appreciate 18 meters x 8 meters, Indoors. Just in case you would like to make contact with this Swimming Pool prior to dropping by, we only know the phone number. 114 Market Street , Downpatrick , Northern Ireland , UNITED KINGDOM (Postal Code: BT30 6LZ). Among all the activities provided by the centre, if you are keen on swimming you can expect to get pleasure from 25 meters x 10 meters, Indoors. If you must contact this Swimming Pool, e-mail address and phone number are both number. 115 Old Dundonald Road , Dundonald , Belfast , Northern Ireland , UNITED KINGDOM (Postal Code: BT16 1DL). This sports centre delivers 25 meters x 13 meters, Indoors. For this Swimming Pool, only phone number is number here.